Long before Rihanna became a worldwide sensation, a group of Barbados musicians were introducing the world to the unique sound of Barbados calypso and folk music. They were The Merrymen. The Merrymen's music features an infectious upbeat rhythm and catchy lyrics that capture the distinctive culture and spirit of Barbados. Their song "Beautiful Barbados" is practically our second national anthem. Other favourites are "Yellow Bird" and remakes of "Island In The Sun" and "Hot,Hot,Hot". 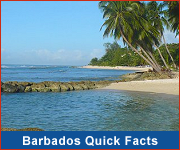 The group started with four members in 1962, playing at clubs and charity events in Barbados. As their popularity grew, they started recording their music (records were the order of the day at the time!). As their name spread, they were invited to tour the other islands in the Caribbean and one of their songs "Big Bamboo" topped the European charts. Tours of the UK and Canada quickly followed. Back in Barbados, The Merrymen were a huge draw for both visitors and Bajans. Just the name "The Merrymen" was - and in fact still is - enough to draw a sizeable crowd. The group has many fans around the world, especially in Canada, the UK and the USA where a number of migrants from Barbados and the Caribbean now live. 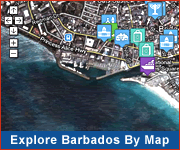 Their popularity in Barbados remains equally strong, just check out their Facebook page! 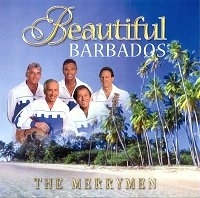 The Merrymen remain a very popular band both in Barbados and overseas. Their music can be purchased on Amazon.